A provocative and timely work, based on Charles and Caroline Muir’s popular Seminars, offers modern couples ancient Tantric secrets for deepening relationships, intimacy, and passion. Now in its 16th printing in 10 languages. 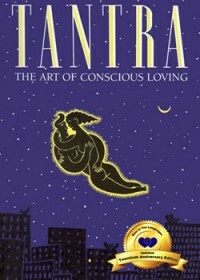 An initiation into Tantra, its goals and philosophy of life, the science upon which its practice is based, and how it works specifically for couples. Sexual rituals, the Yoga or “union” couples practice, to achieve an ecstatic connection in loving. This SPECIAL HARDCOVER 20TH ANNIVERSARY EDITION of the Muirs’ groundbreaking book on Tantra is an easy read, which will introduce you to all aspects of Tantra, from history to life-renewing practices.